“is a place where harmful chemicals are found. One recent study by the Silent Spring Institute identified 66 endocrine-disrupting compounds in household dust tests, including flame retardants, home-use pesticides, and phthalates. 1. Products inside your house “shed” chemicals over time — furniture, electronics, shoes, plastics, fabrics and food, among other things. 2. 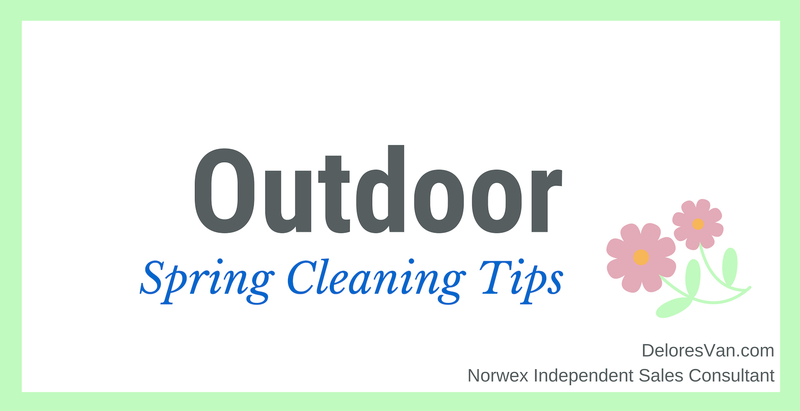 Outdoor pollutants enter on your shoes and through open and cracked windows and doors. Once inside, the contaminants in indoor dust degrade more slowly (if at all) than they would outside in the environment where moisture and sunlight typically break them down. 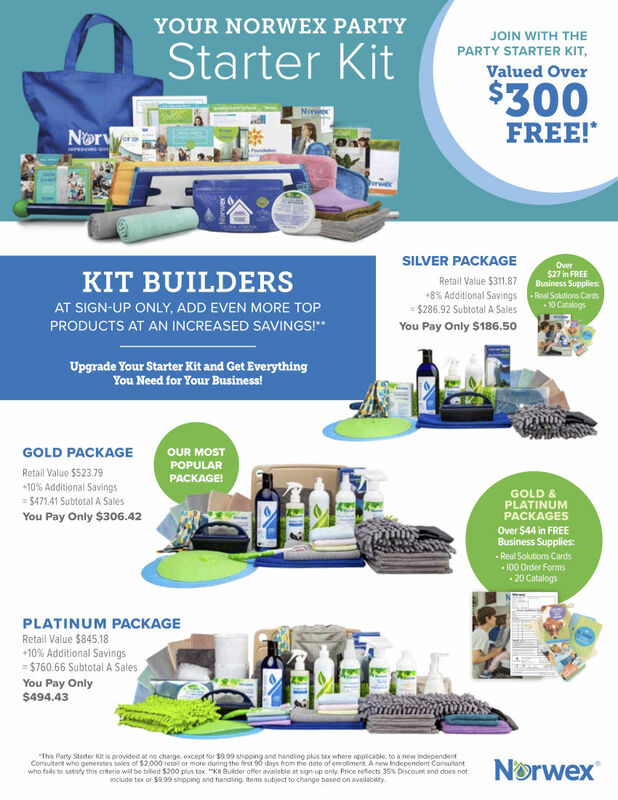 The EWG cautions that young children are at a higher risk of being exposed to these toxins because they spend most of their time playing on the floor putting their little fingers and anything they grab into their mouths… so let’s get started and remove dust without adding any more chemicals. First you will need to wash your walls from fingerprint height and lower (everything above this height is just dust) using a well-wrung Enviro Cloth. For any scuffs use a small square of a Micro Cleaning Hand Pad and give it a scrub. 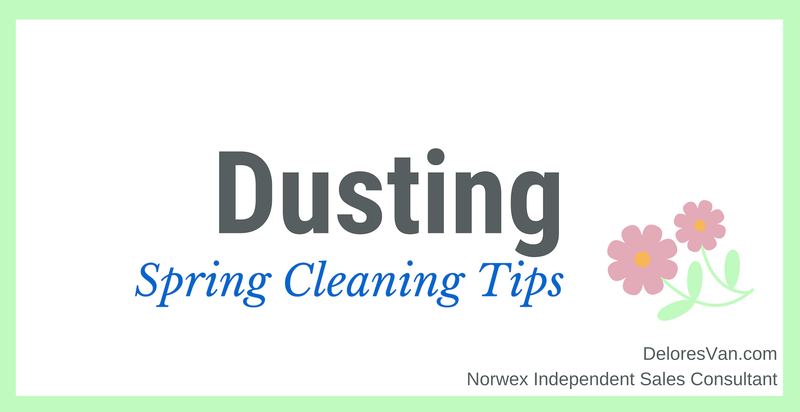 For dusting, lock the head on your Mop, attach the dry head (yellow), and dust all the way to the ceiling. 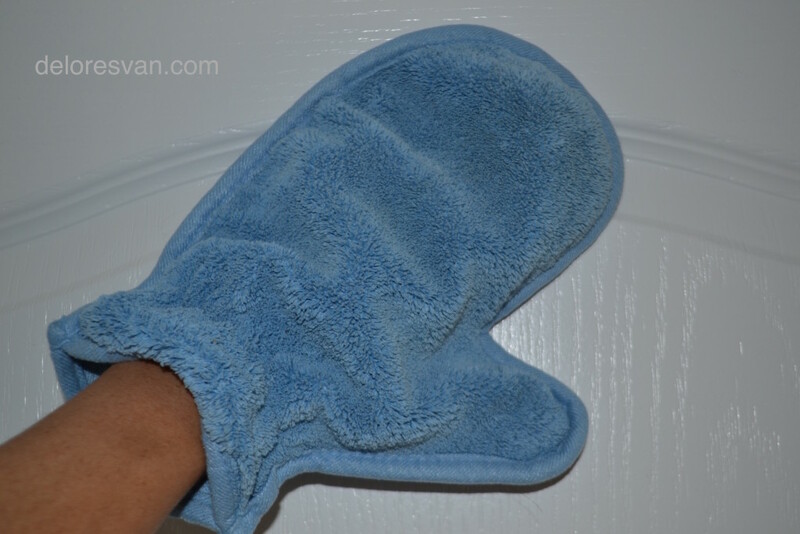 Put a Dusting Mitt on each hand- the faster you can dust the better- and give the dusting mitts one spray of water. It will remove all the dust, finger prints, coffee marks etc. and leave the furniture streak free. 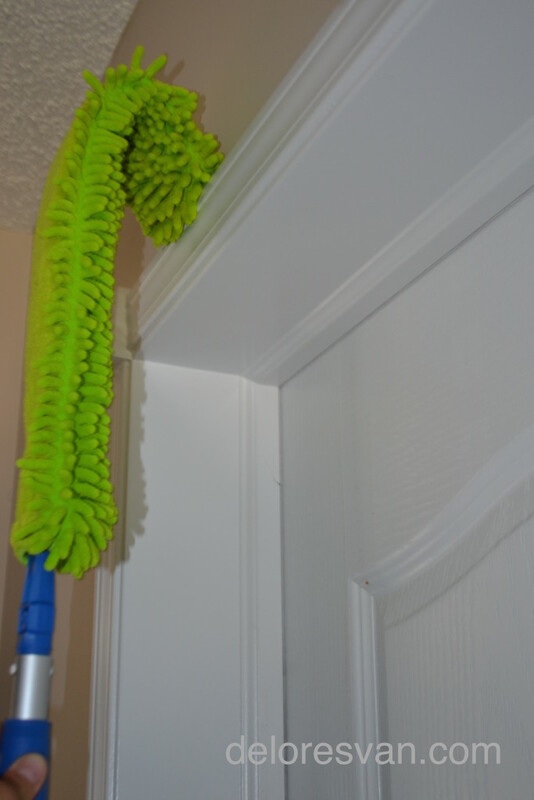 Put a Dusting Mitt on each hand, spray one squirt of water and clean the details in your doors beautifully. 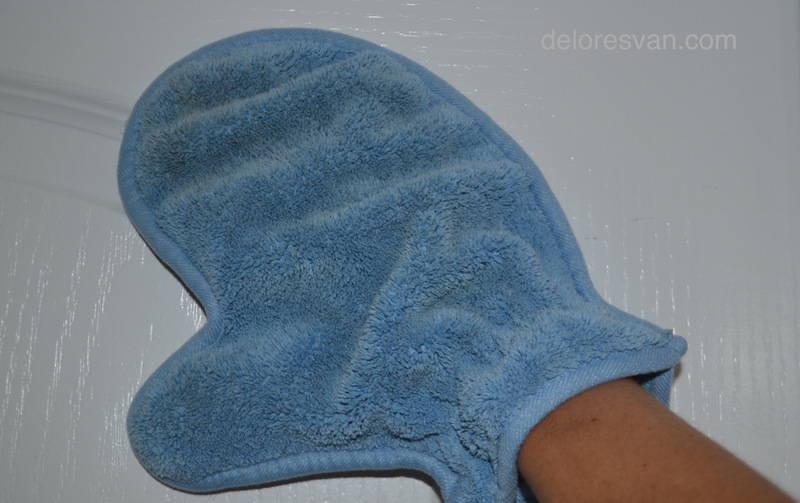 Put a Dusting Mitt on each hand and hold the blind with one hand and rub along the face and underside of each slat. The mitts will hold a lot of dust while leaving your slats clean. Bend the EnviroWand in an upside “U” and drag along the tops of your door frames. Quick and simple!!! Put a Dusting Mitt on each hand and hold the frame with one hand and dust with the other. Bend your EnviroWand and give it a squirt of water and gently remove all the dust from those fixtures. Remember your EnviroWand can bend and flex, so give it a squirt of water and sneak it into areas you have never dusted before. Between the Dusting Mitts and the EnviroWand you will be able to dust the majority of the surfaces in your home. Isn’t that amazing? Bathrooms require A LOT of maintenance, right?! Often bathrooms, because they are part of our regular cleaning schedule, they often get forgotten when it comes to spring cleaning. 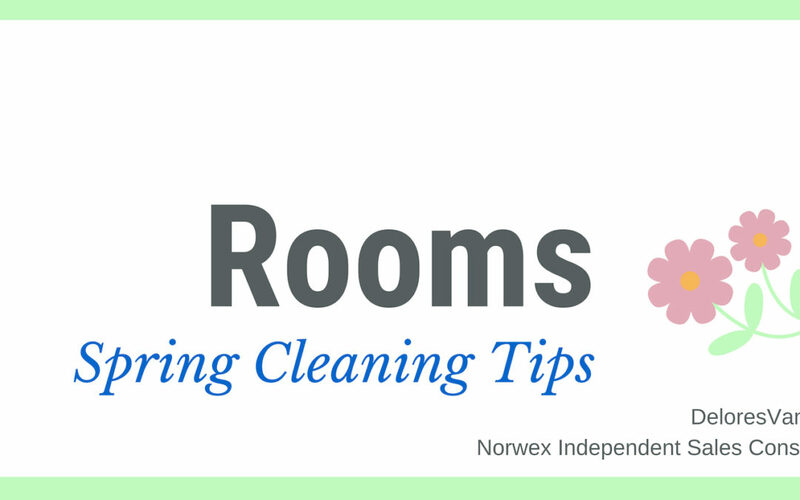 Spring Cleaning is the perfect time to give your bathrooms a really deep clean… clean out the drawers, remove calcium build up on your taps, reorganize your toiletries, etc… Spring cleaning your bathrooms with Norwex will make the job fast and efficient as most of the surfaces can be cleaned with only water and an EnviroCloth. For the areas of your bathroom that have water stain or rust stains, Norwex has biodegradable hard-working solutions to tackle those jobs. Your bathrooms will be sparkling in no time and all with natural cleaning products from Norwex. 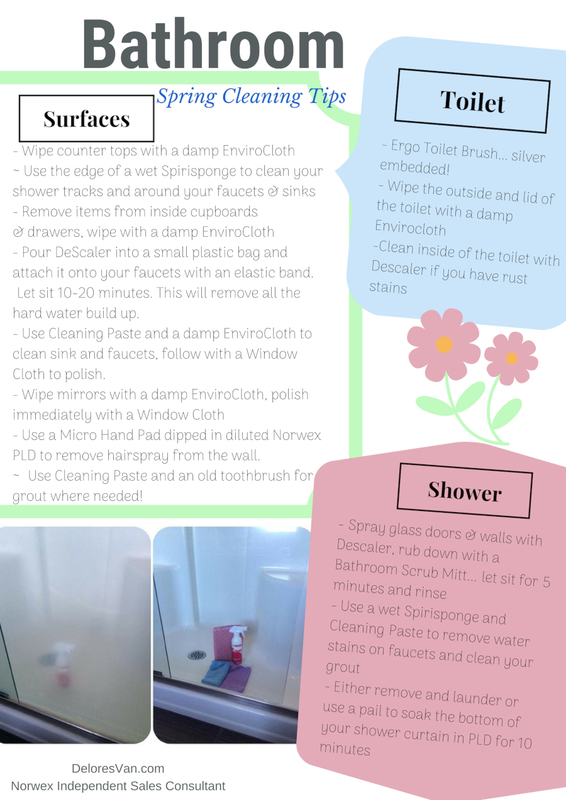 Here is a quick guide to help you get your bathrooms EXTRA sparkly during this spring cleaning season. 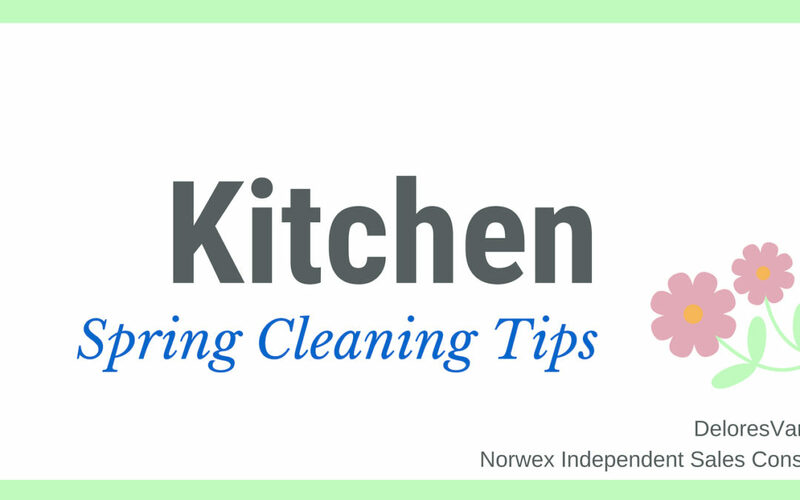 Norwex products provide innovative and simple methods to clean your home. 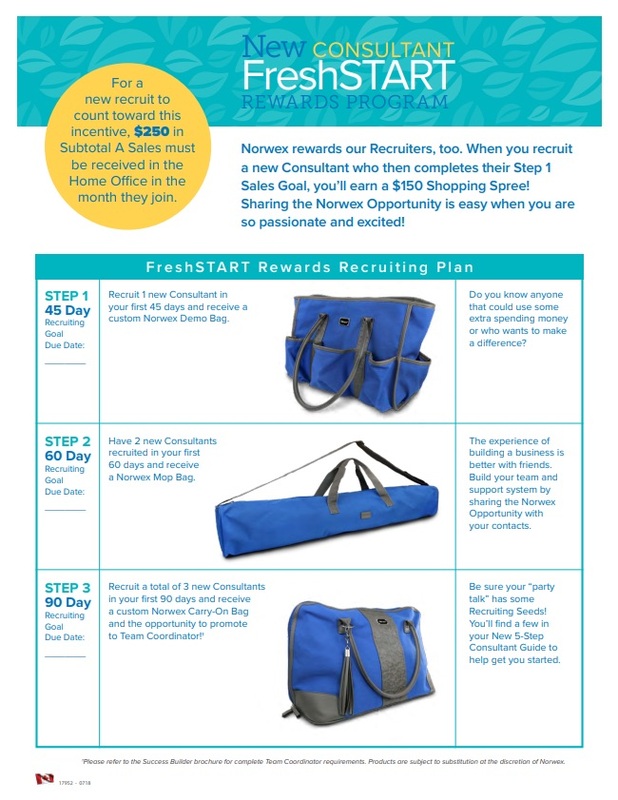 Watch the videos below to get the most out of your Norwex products! 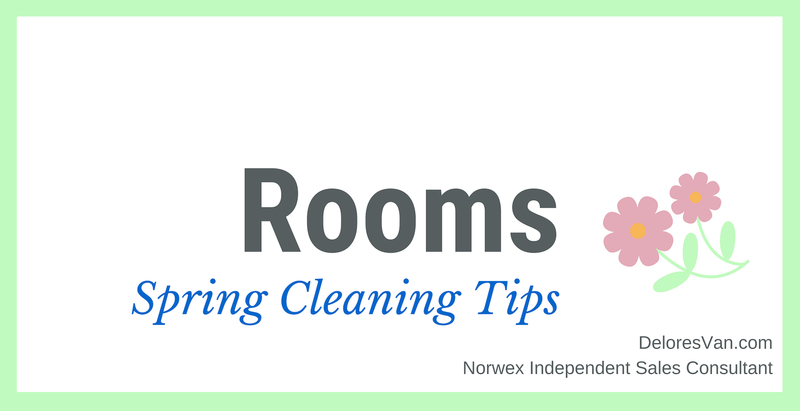 Of course bathrooms are not the only rooms in your home that need attention during spring cleaning… Check out this guide for spring cleaning your living room, bedrooms and closets (yup… even the closets). A lot of spring cleaning is spent dusting! You know… dust collects everywhere. 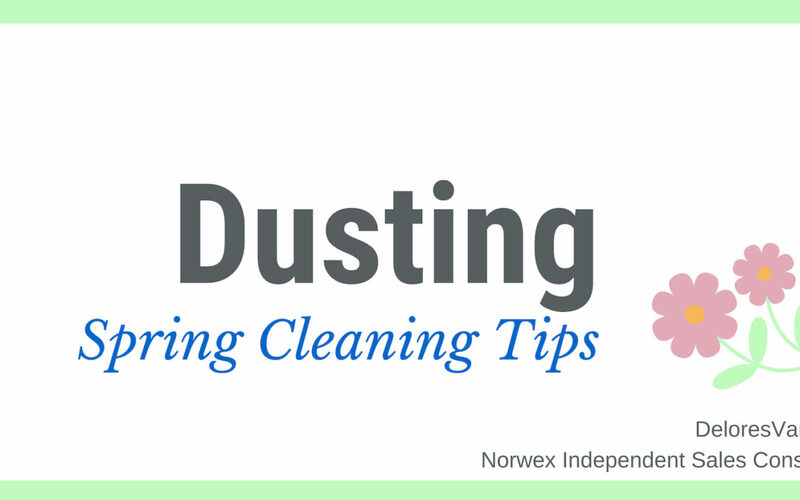 Be encouraged that as you dust (and it is easy with Norwex’s Dusting Mitt) that you are removing harmful chemicals, dead skin and irritants that make up dust from your home. 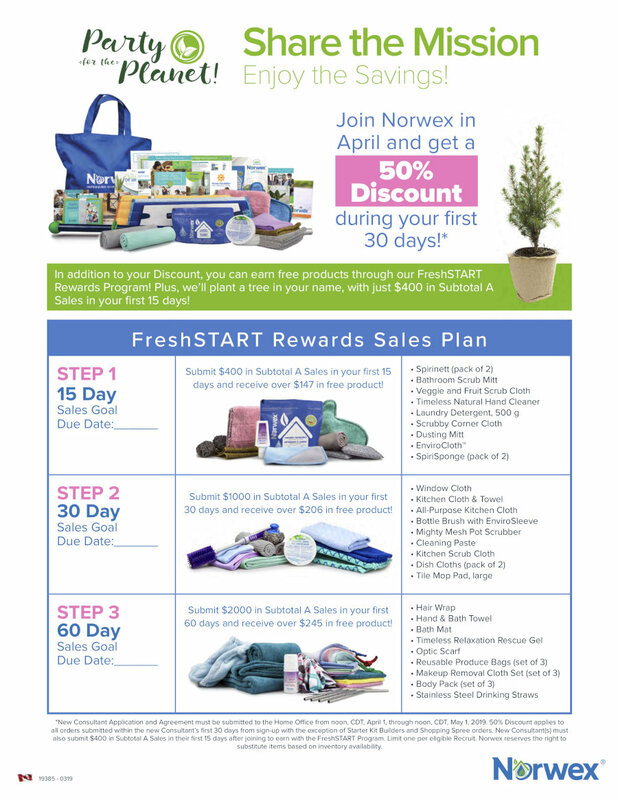 Spring Cleaning with Norwex will be a breeze and then before you know it… summer will be here! Comment Below: How will you celebrate when your spring cleaning is done? I think we can all agree that our kitchens are the most well-loved areas of our homes. It’s where family and friends gather, eat, have discussions, have meetings, quiet devotions with tea, it’s the place we leave our miscellaneous piles and make the most mess. I love my kitchen! 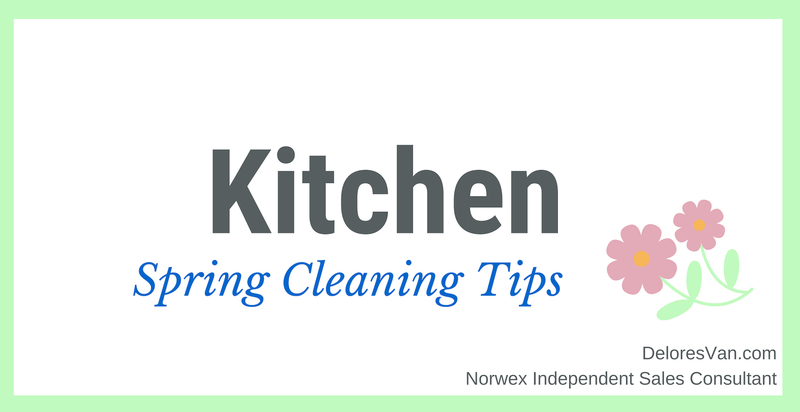 Spring Cleaning your kitchen is must… but it’s easy with Norwex! 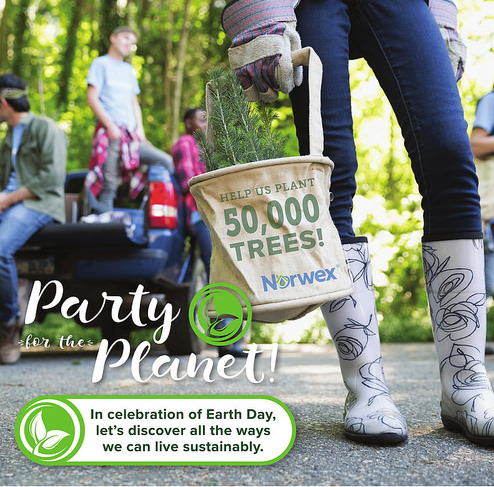 Norwex is not only environmentally-friendly and a money saver, but Norwex will also save you time. Lots of time!!! 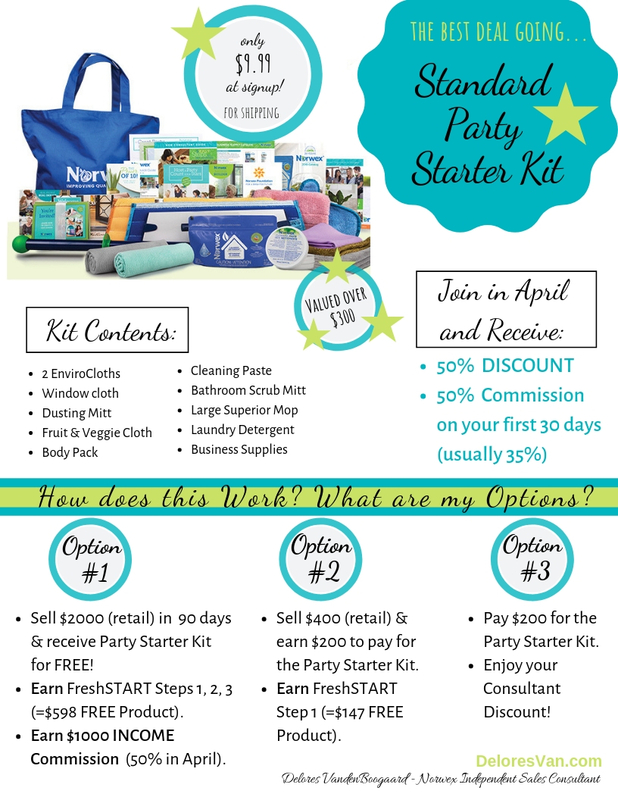 It will take you 75% less time to do your spring cleaning with Norwex products than with traditional methods and cleaners. Norwex uses water and superior microfiber to clean most surfaces… it is quick, easy and effective. 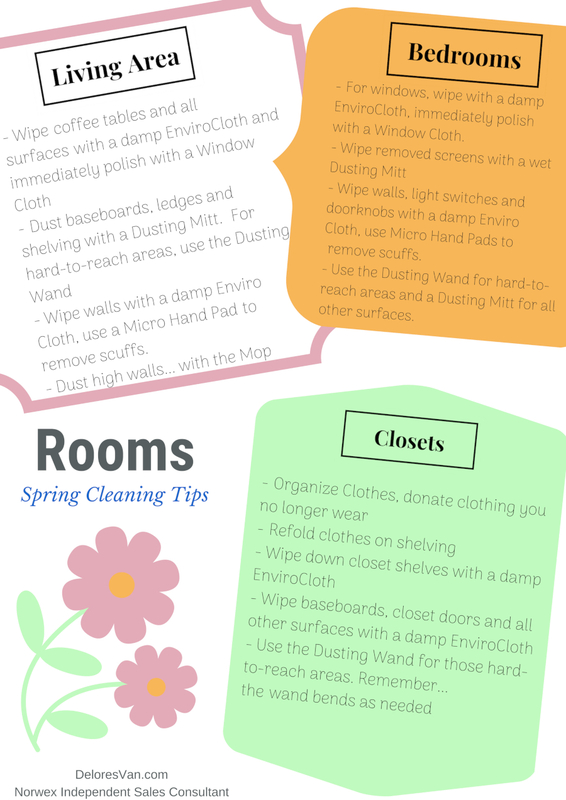 This post can be used like a spring cleaning guide or checklist… if you will. 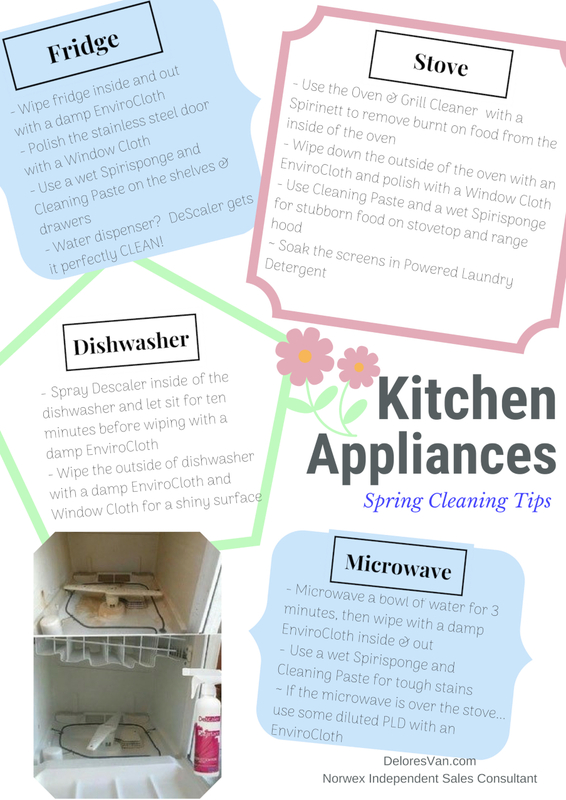 Check the items off as you go… your kitchen appliances and surfaces will be spring clean in no time!!! 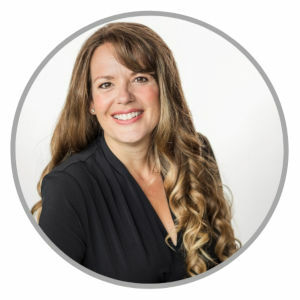 Norwex cleaning methods are unique and sometimes require clear instructions… my videos below to ensure you are getting the most out of your products. There are lots of surfaces in our kitchens that require cleaning. 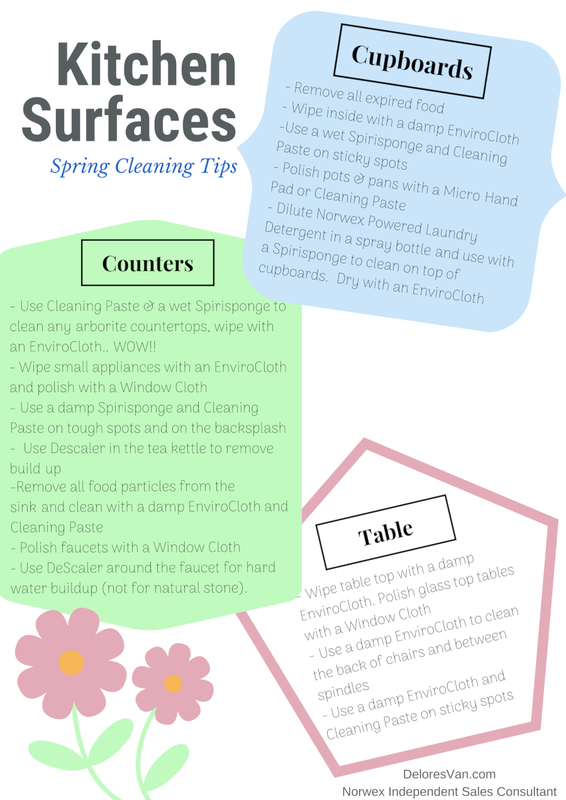 We all wipe down the counters on a regular basis, but in the spring, I like to deep clean of all the surfaces… like the: countertops, back splashes, cupboard shelves & doors, and the table & chairs. If your kitchen is the heart of your home, like it is in my home… spring cleaning is a must! 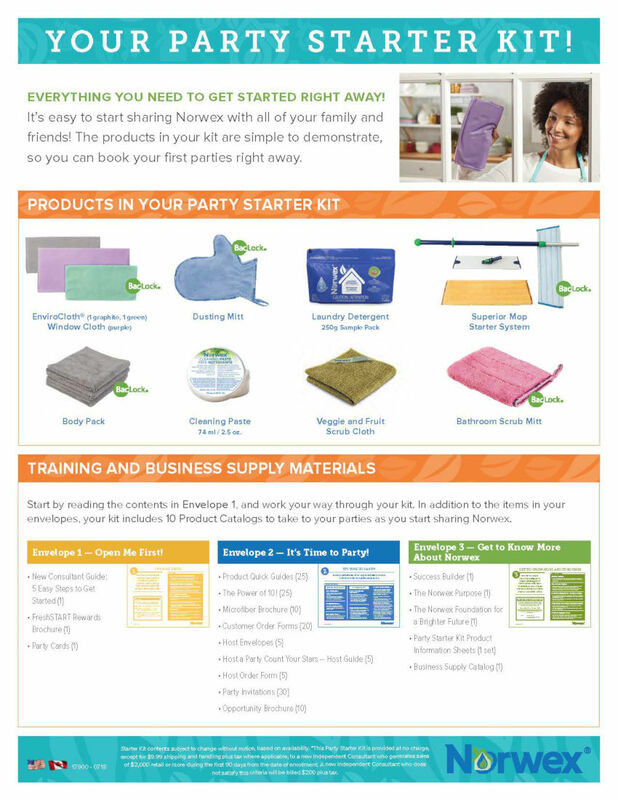 This spring give Norwex products a try and enjoy your getting your cleaning done simply, efficiently, quickly (up to 75% quicker) and without chemicals (mostly with EnviroCloth & water)!!! In my neck of the woods we are all ready for spring time (& spring cleaning)!! 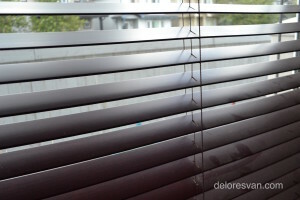 All winter, dust and debris pelt our homes and windows, the wind brings in garbage, pets do their business, patio furniture huddles together collecting dust and our decks are weathered by the elements. 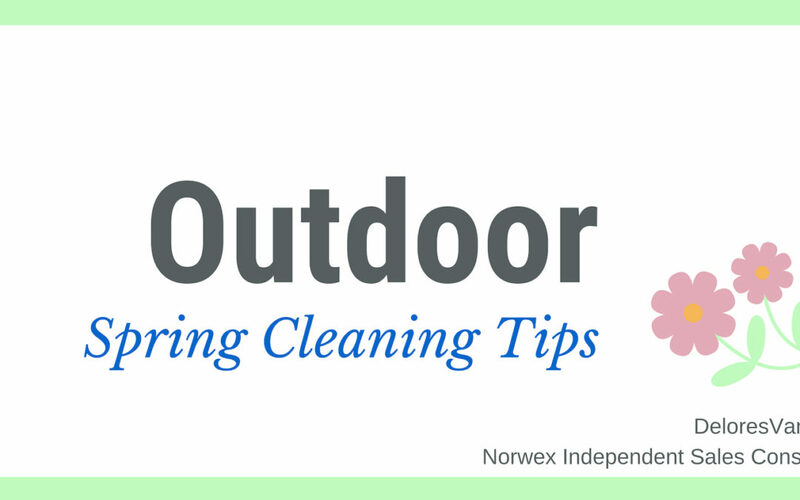 For all these spring cleaning needs, let me give you a few of my spring cleaning tips with the help of Norwex products, to tackle all these ‘hibernated’ areas and make them shine again. 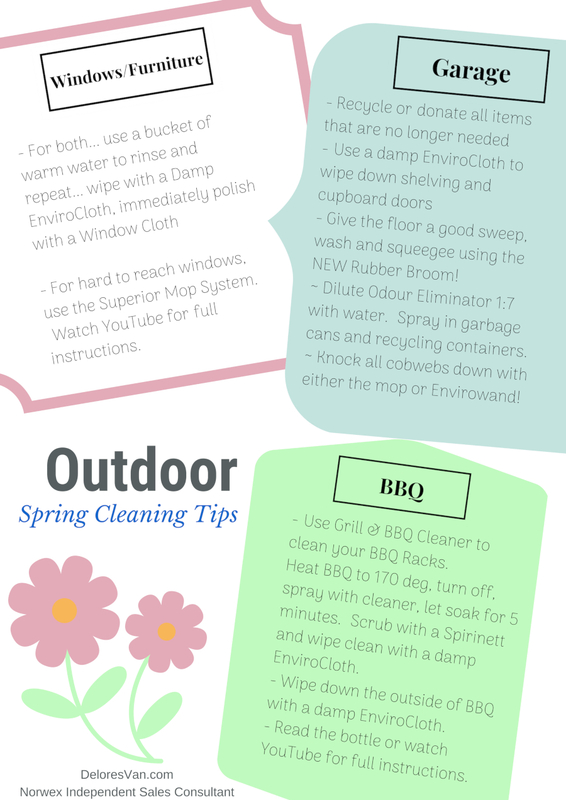 As the snow begins to melt and the sun stays out longer and we all anticipate summer… be inspired to try a few of my spring cleaning tips to make your outdoor areas their best. 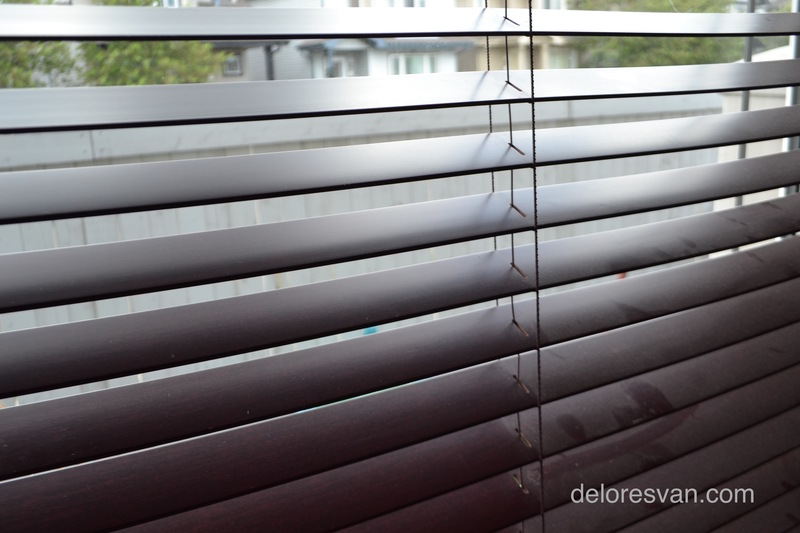 Nothing beats looking out a freshly cleaned window while enjoying the sun going down. Comment below: What spring cleaning job do you enjoy the most and dread the most?